This instruction includes steps to fix “cannot open volume for direct access” error happened to CHKDSK in Windows 10, 8, 7, Vista and XP. If you are blocked by same error, you can go on reading this guide to find out solutions. The reasons behind the error are varied from people to people. This section sums up several common causes. The disk being checked or fixed by chkdsk command is corrupted or damaged. The storage device is dirty and has to be replaced by a new one. Windows does not install the latest service pack. This usually happens on Microsoft Windows XP and. How to fix “chkdsk cannot open volume for direct access error” issue? Press Windows + R keys together from keyboard to open Run dialog box. Type services.msc in searching box and click “OK” button. Now the Services window pops up and you can browse all services on your computer by scrolling down. Find the service that may lock your device and right-click it to view its Properties. Change the Startup type to Disabled for all third-party applications that may cause the chkdsk issue. Click OK button and close Service. Then you can run chkdsk again to see whether “cannot open volume for direct access” error is removed. Clean boot is usually used to handle conflict issue among third-party services. The exact steps to perform a clean boot differ from Windows editions. You can visit Microsoft knowledge base to find the way of performing clean boot as per your Windows version. Here we just give a general way to fix it. Click Start button and search for msconfig. Click System Configuration from search result. Select “Service” tab on the dialog box. Select “Hide all Microsoft services” and click “Disable all” button. Click “Startup” tab to tap “Open Task Manager”. For startup item here, select each and click Disable. Close Task Manager and click OK on the “System Configuration” window. Restart computer. Open Command Prompt and run chkdsk command again. To make clear whether your disk is damaged with bad sectors, you should perform a complete scanning for bad sectors. Also, you can try repairing bad sectors if any bad sectors are found. You should be aware that any actions to repair bad sectors will damage data stored on the disk, thus you have to retrieve all important files beforehand. Download and launch Eassos PartitioGuru Pro software which provides free feature for bad sector checking and repairing. 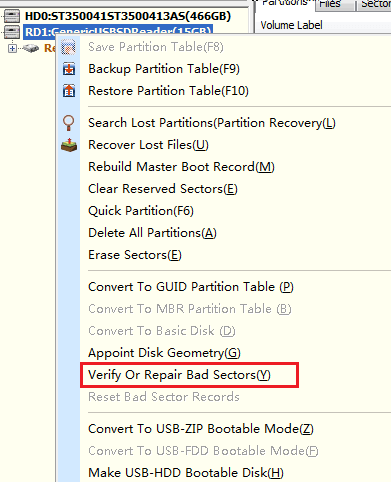 Right-click the hard drive or USB disk and select “Verify or Repair Bad Sectors”. Click “Start Verify” button and PartitionGuru starts checking bad sectors. 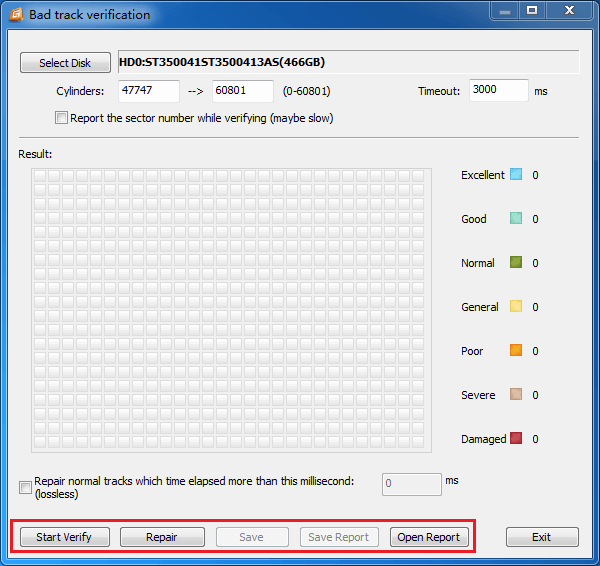 If some bad tracks are found after scanning, you can click “Repair” button to repair logical bad sectors. How to recover data when chkdsk cannot open volume for direct access? Since bad sector repairing operation do harm to data stored on storage devices, you should backup or recover data from damaged or corrupted disks. If you can open the disk and access files in it, you can just copy data to another disk; if the disk is no longer accessible, you can try data recovery software to help you retrieve files. Connect the corrupted SD card or USB flash drive to computer and launch Eassos PartitionGuru. 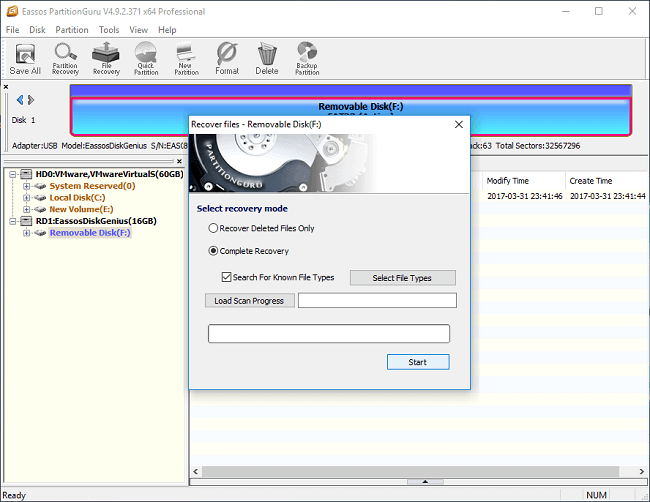 Select the damaged partition and click “File Recovery” button from tool bar. 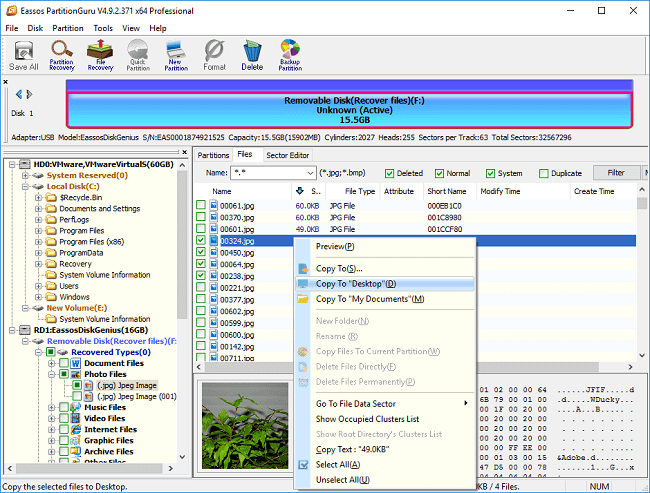 File Recovery feature supports retrieve files from corrupted, formatted or RAW drives through advanced algorithm. Click “Start” button without changing default setting from the Recover Files window and the application will perform a complete and deep scanning on the device. Preview and recover files while scanning stops or pauses. Select and right-click files you want to recover, and choose “Copy to” to save data on your PC or a different disk. This entry was posted in Partition Manager and tagged cannot open volume for direct access, chkdsk cannot open volume for direct access, the type of the file system is NTFS by EASSOS. Bookmark the permalink.